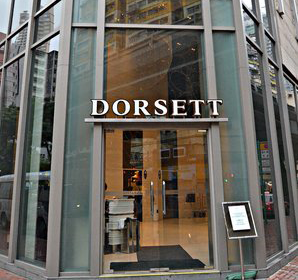 Dorsett Mong Kok Hong Kong is located in the heart of Kowloon on Tai Kok Tsui Road Mong Kok. The lobby smells really nice, this is what you will notice when I first entered the hotel. It smells fruity and woody at the same time. Giving the hotel a good ambiance that made me feel really relaxed after a long walk form the Olympic City Terminal. The air conditioning felt so good after walking under the sun, the smell is very invigorating and the ambiance that was given by the hotel lighting makes it really very inviting. Checking in was a breeze, all you need to do is to prepare your printed receipt or if you have it on your smart phone or tablet then it is going to be fast. The only downside about the check in process is the security deposite. They will ask for $400 HK, just in case you break anything or smoke inside the room. Smoking is a big NO NO for this hotel, so if you are a smoker you have to go somewhere else and find a hotel that is suitable for your smoking need. Tipping: be prepared to have your Hong Kong dollar available, tipping is between $5 -$10, I am not sure about this at first and the bell boy either thinks that I am a millionaire checked in a humble hotel, I am generous or just dumb to tip him more than what i should have. When I got in to my room, It did not surprise me to see a small room, kind of quaint but really clean and fresh. The room is really good for a single person or a couple who would like to spend time alone together. There is not much of a room to walk around so the probability of being closer together is greater than that of couples doing their own business. If you want to spend time alone and just be yourself this is definitely the right size for you. The view outside is not as outstanding compared to 4 or 5 star hotels. This part of the hotel does not have the city view but old buildings that looks like apartments or tenements. The key is to ask for a better view, most hotels are willing to give what their customers ask for, and give you the type of room you wish to stay in. If you are not specific with what you want or where you want to stay in, they will give you the first room they can check you in. Another downside for this hotel is the bed, I am not that tall but my feet hangs on the foot side of the bed, it also shakes as if it was already been used by different couples who just had their honeymoon. 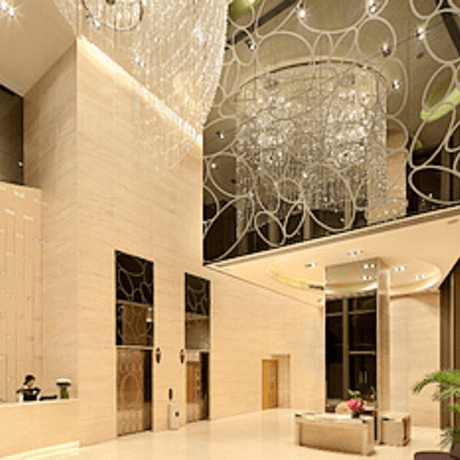 At any rate, if you are in Hong Kong on a vacation or business trip and you are the one spending for your trip, this is not a bad hotel to stay in, since you will just be spending the night anyways. So a small bed might not be as comfortable to sleep in but the ambiance can compensate the experience. Tip: Be very specific with your requested room specially the bed, because I asked for a queen size bed or a full size bed but they gave me 2 single beds. 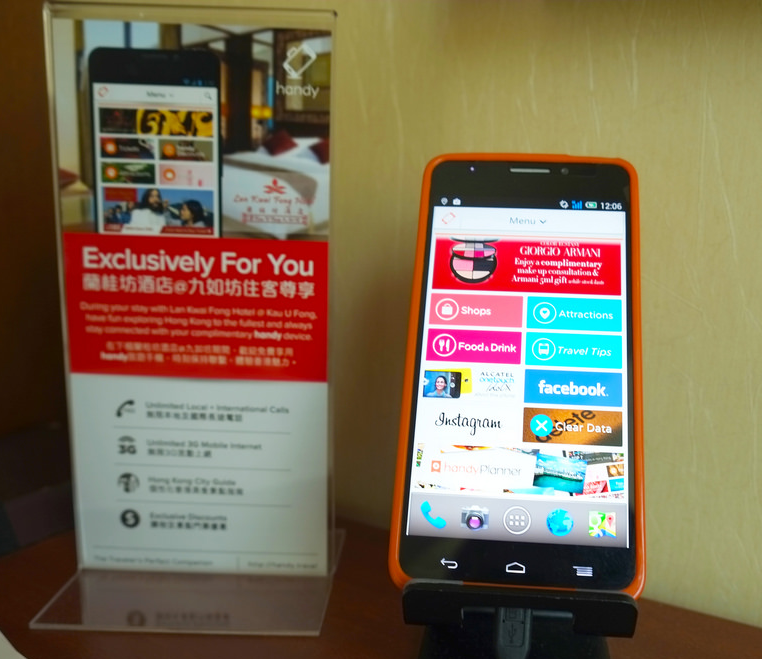 One thing that is quite cool about this hotel is that they gave me a smart phone to use, this is to create a HotSpot and can be use as a city guide. Oh this is really weird, the electric plugs or outlet they have there are three-pronged UK type plug. So if you are planning a trip to Hong Kong, get yourself an adapter from your local hardware to make charging easy. The chambermaids were persistent, I do not know if they do not understand the signs outside the door or the english comprehension, I clicked on the switch that says do not disturb because I do not like my stuff being touched by other people, but the cleaning lady still managed to get in and cleaned the room. However like any hotels this hotel does have the safety box and that is a big plus when you have important documents with you. They are quite generous with free drinks like bottled waters, tea and coffee. Other thing I do not like is the available toiletry, the shampoo does not bubble at all and conditioner made my hair really sticky and oily, perhaps it is because of my hair texture. They do not have soap bar but a tiny body wash that is only good for one use. I went to Hong Kong during summer so just imagine if there is no store to buy a good soap, you will have to ask for more tiny bottles of body wash just to keep yourself clean and fresh. Checking out was fine, typically you will just call the lobby to check yourself out, but I had to go down and surrender the phone and had to wait while they radio the cleaning lady if the room is in perfect condition. So the downside is just the wait to confirmation from the room inspection, otherwise it was a good experience. ….and oh! not to mention they cancelled the printed receipt of the $400HK security deposit.